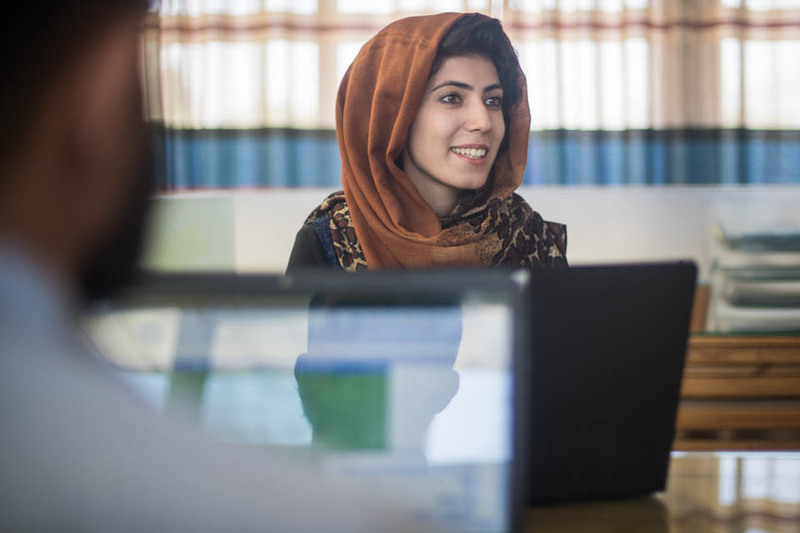 ACE cares about the needs of women within the Afghan workplace. We place high importance on the recruitment of women, as well as developing their skills to attain the positions they deserve. ACE also offers internships and mentorship to female job seekers/graduates to increase their chance of finding employment. Professional and qualified women represent 35% of ACE’s workforce. Women economic empowerment and support are part of ACE’s core values and goals. Parallel to implementing these values in our office setting, ACE ensures to conduct projects that enable empowerment on a larger scale which enables women to integrate confidently in the society and take proactive roles. Recently ACE administered an eight month training and internship program for UN Women which trained 50 female graduates. ACE designed a demand driven and interactive training curriculum (120 hours) that focused on personal development, business management, and employability. The curriculum also included training modules that ensured trainees develop English Language for employability. Subsequently, the graduates were given the opportunity to intern for four months with World Food Programme (WFP), American University in Afghanistan, Roshan Telecom, Ministry of Foreign Affairs, Ministry of Women Affairs, Ministry of Rural Rehabilitation and Development, and other reputable organizations as Interns. ACE is proud to highlight that more than 50% of the Interns ended up with permanent jobs.